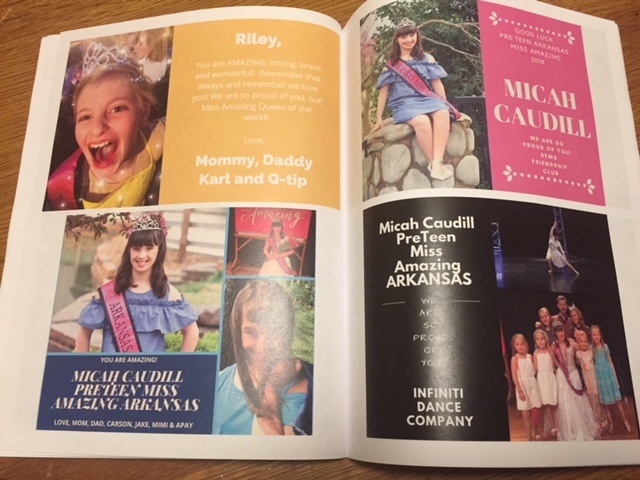 Send support to your favorite Miss Amazing with a Shout Out in our official program book! All funds raised from Shout Outs support Nebraska Miss Amazing’s work right here in our state! You have the option to either design your Shout Out yourself or you can choose from Miss Amazing’s layout options and have us design the Shout Out for you. If you’d like to use a computer to design your Shout Out, we suggest using the free design tools provided at Canva.com. The deadline to order Shout Outs was October 19th! Start planning now for your Shout Out for next year’s event! For inspiration, check out these pictures from the Shout Outs in the National Program.